This is being written as a guest post for DailyBeerReview.com, so if you're one of Rob's readers, hello! That's assumption number one. 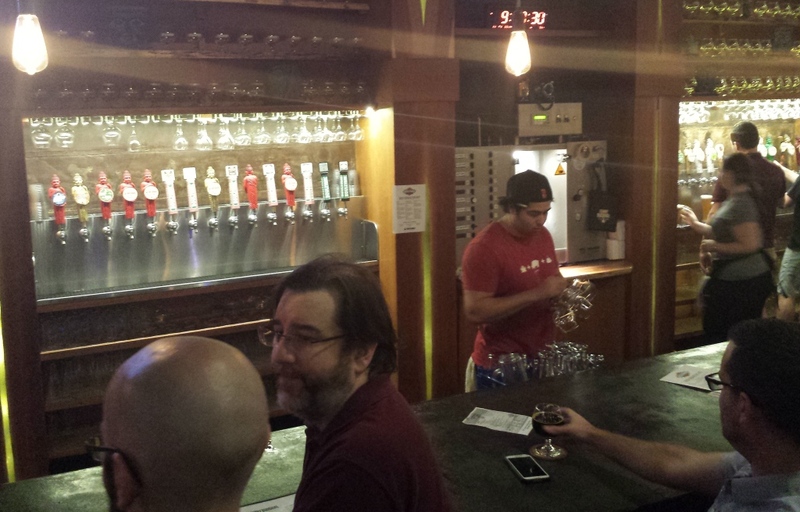 The second assumption is that if you're reading this, you know about Funky Buddha Brewery. If not, well, Funky Buddha Brewery was started in Boca Raton as a lounge. 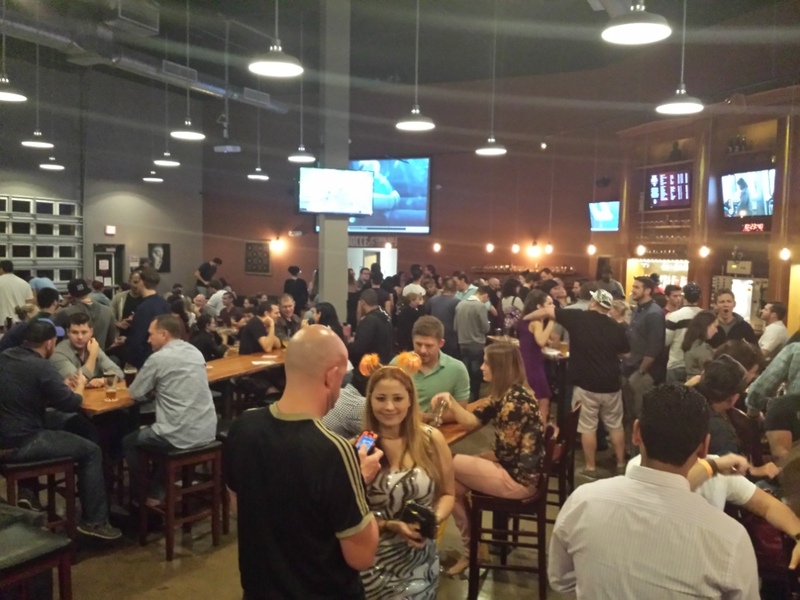 They started brewing at the lounge, then opened a massive brewing facility and tap house in Oakland Park (Ft. Lauderdale). 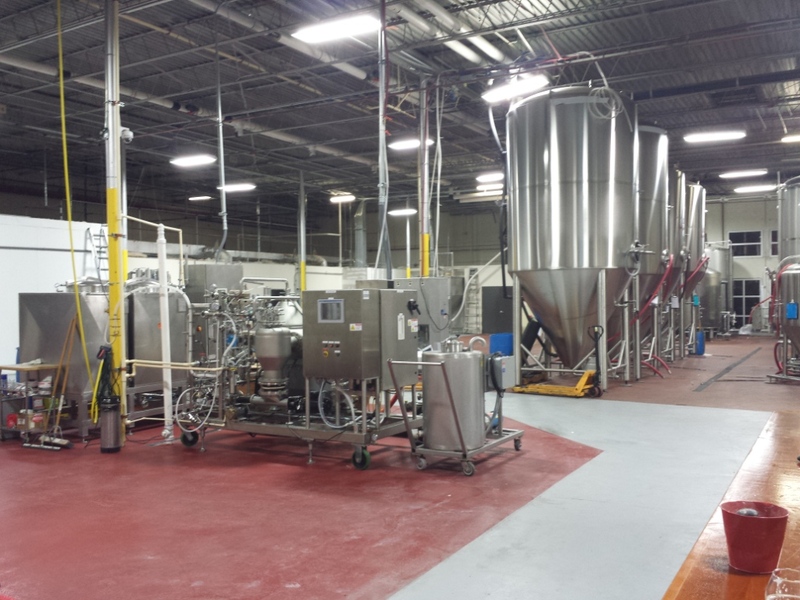 It's pretty massive, and they just expanded to install a bottling line that will be rolling out 6 packs come December. Behind the bar at Funky Buddha. Funky Buddha and their head brewer/co-owner Ryan Sentz have made themselves very well known for beers with insanely huge, culinary, almost dessert-like flavors. And when they do a dessert-y beer, they don't mess around. Don't Tell Reece has a massive amount of peanut butter and chocolate flavors in a creamy smooth brown ale. Last Snow (which will be released in limited edition 4-packs) is a porter with flavors of coconut, white chocolate, and vanilla. Blueberry Cobbler has big, bold flavors of blueberry pie. And their Pina Colada wheat ale is one of the best, most quintessentially Florida beers I've had. And the beer list goes on and on. With all of these big flavors, you would think Funky Buddha would do a pumpkin ale, right? Nope. They made the intentional decision to go against the grain and not make what has become almost a legal requirement in the brewing industry. Instead, they went with sweet potato. There are a few breweries in Florida that have brewed sweet potato beers (The Mack House in Davie and Wynwood Brewing in Miami come to mind), and they have a reputation for an extreme smoothness. So that's what Funky Buddha did. 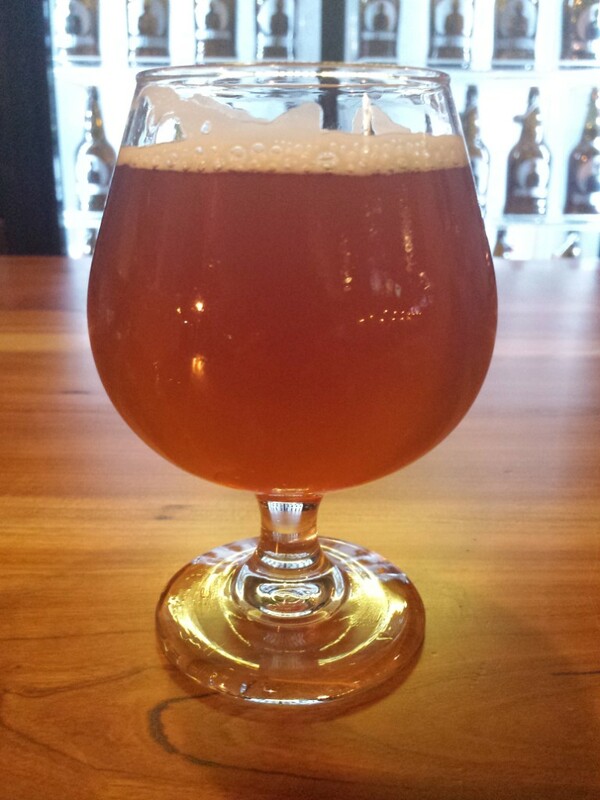 But they did it their way, releasing Sweet Potato Casserole (Vegetable Beer, 7.9% ABV, 30 IBU) earlier this month. Interestingly enough, it's almost 8% alcohol, so it packs a bit of a punch. But this is a beer with such a smooth, sweet finish that you never really feel it. It has a beautifully rich, deep golden color. The flavor is deep and rich, and the sweet potato does bring a smooth velvetiness to the beer. Funky Buddha, being true to form, rounded the beer out with the addition of a very sweet marshmallow flavor. I still have no idea how they do it, but that addition basically rounds the beer out and makes it close to the flavor and profile of the dish it's named after. And if you'd like more information on Florida beers, come visit us at FloridaBeerBlog.com!